President Sirisena and parliamentarians greeting SLFP members. 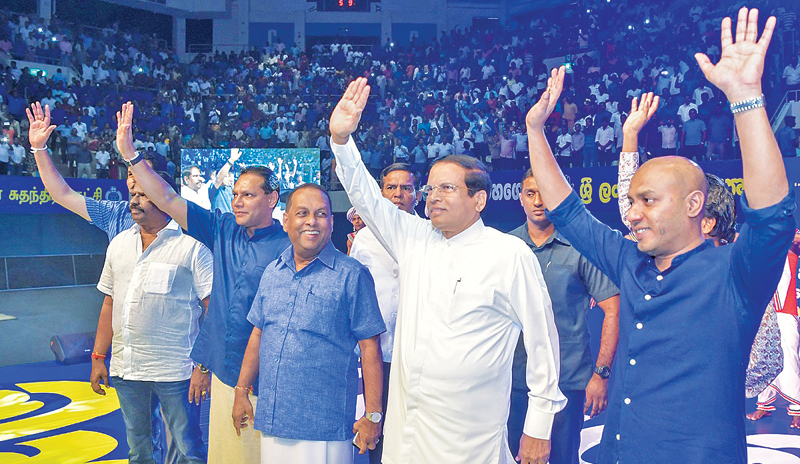 The special convention of the Sri Lanka Freedom Party (SLFP) was held under the patronage of President Maithripala Sirisena at the Sugathadasa Indoor Stadium yesterday. Senior SLFP party stalwarts and party members arrived by the thousands to the convention.